Reagan's Unsung Legacy: Frozen Food Day : The Salt Former President Ronald Reagan would surely be pleased to know that many of his legacies remain vital in 2012, from campaign pledges to lower taxes to ketchup's classification as a vegetable. Reagan is also responsible for a lesser-known contribution to American food culture: National Frozen Food Day. Former President Ronald Reagan would surely be pleased to know that many of his legacies remain intact in 2012, from campaign promises to lower taxes to ketchup's classification as a vegetable. But few are aware that Reagan is also responsible for another enduring contribution to American food culture: National Frozen Food Day. 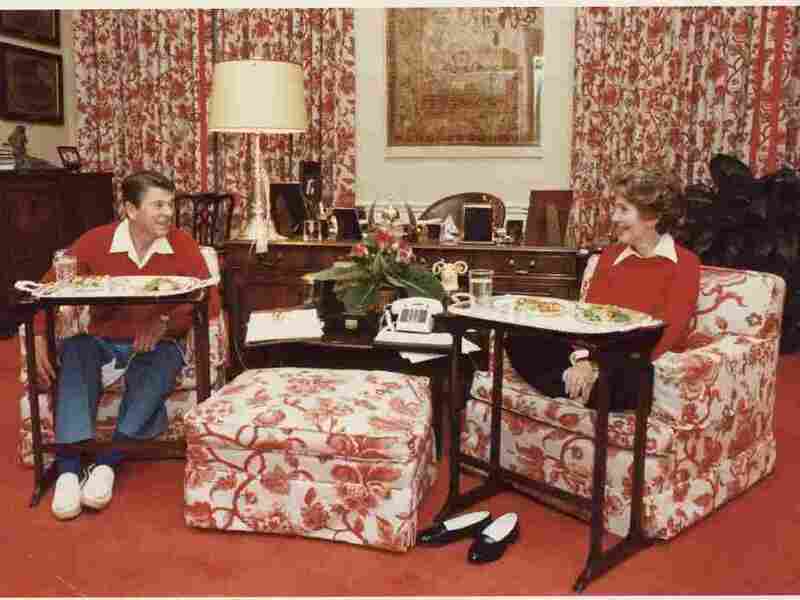 In 1984, Reagan memorialized his affinity for frozen food — and the time with his wife, Nancy, it allowed in front of the TV, as the above photo attests — with a proclamation that March 6 would be the designated occasion. "I call upon the American people to observe such a day with appropriate ceremonies and activities," the president said. Just what festivities did Reagan have in mind? Nursing a hangover with a frozen pea pack on your head? One can only wonder. Despite Reagan's zeal, the holiday might have fallen into total obscurity were it not for one party with a vested interest in frozen food: companies that sell it. Indeed, Frozen Foods Day would have entirely evaded our radar were it not for the ConAgra Foods press release we spotted yesterday. So if you forgot to toast over a TV dinner yesterday, fear not. The National Frozen & Refrigerated Foods Association says the entire month of March is Frozen Food Month, so there's plenty of time left to mark the occasion. If you do happen to visit the freezer aisle this month, as NFRF would like you to do, you might reflect on just how far the frozen meal has come since Swanson introduced the first TV dinner in 1954. That meal took about 25 minutes to cook or reheat. C.A. 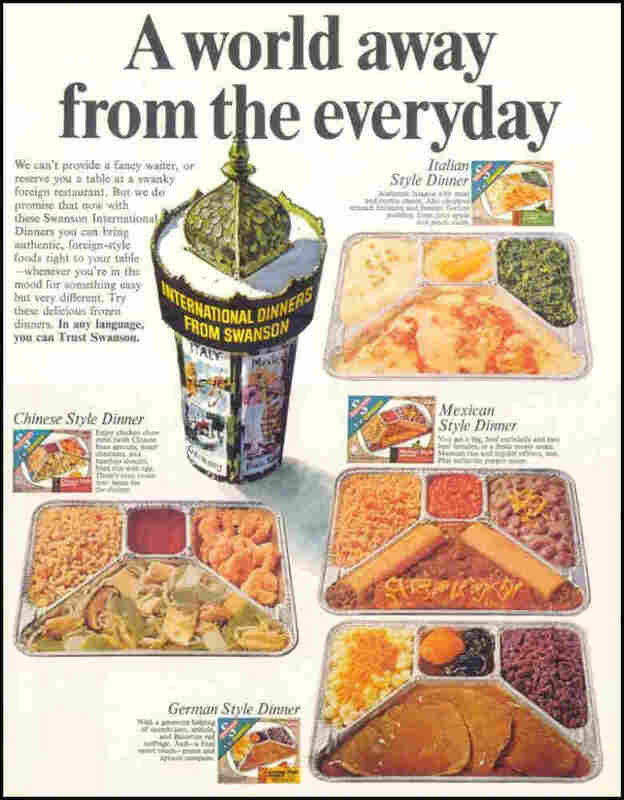 Swanson & Sons of Omaha, Neb., celebrates the 40th anniversary of the TV dinner, in 1994. 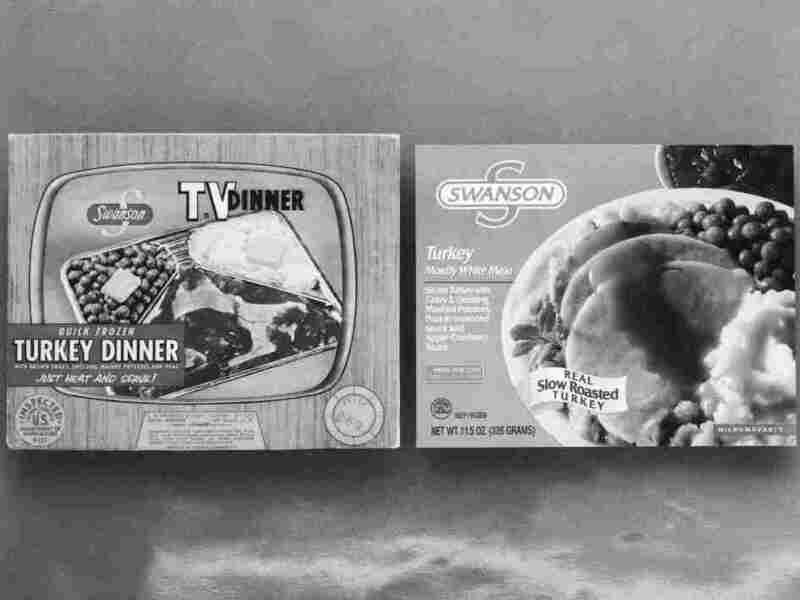 Originally sold for 98 cents in 1954, in a package with a picture of a TV set with knobs, it became the first TV dinner — which changed American culture so much that the original package is now in the Smithsonian. Back then, the aisle might have consisted of a shelf or two in one remote corner of the supermarket. 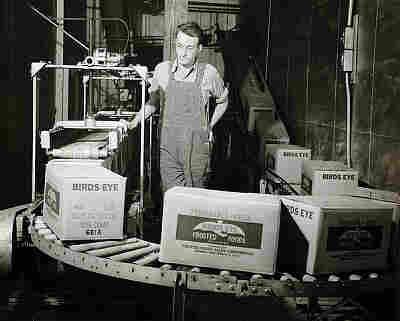 Now, of course, frozen food is recognized as an innovation that has helped minimize many an American's time in the kitchen. P.F. Chang's Home Menu, a line of premium frozen entrees inspired by best-selling recipes at P.F. Chang's China Bistro. Its prominence is evident in the dozens and dozens of misty freezers in two or three wide swaths of one store alone. You can find ready-to-eat cuisines ranging from Taiwanese to Mexican, vegan to butter-doused. Even restaurant chains, like the Asian-fusion P.F. Chang's, have found it lucrative to expand into the frozen food aisle. Many home cooks, too, turn to frozen food in a pinch. The rise of the smoothie owes a lot to the efficient distribution of frozen fruit. And many of us rely on frozen fruits and veggies to get us through the winter. Still, frozen food isn't always held in high regard by nutritionists. In a recent survey, the U.S. Food and Drug Administration recently noted one major contributor of trans fat in processed foods: frozen pizza.